The Saab 99 was released in 1968, some 20 years after the release of Saab's first production automobile, the funky looking Saab 92. Oddly enough, one of the original contributors to the design of the 92 was a Swedish born designer named Sixten Sason, who lead the design of the Saab 99 but unfortunately did not live to see its release. 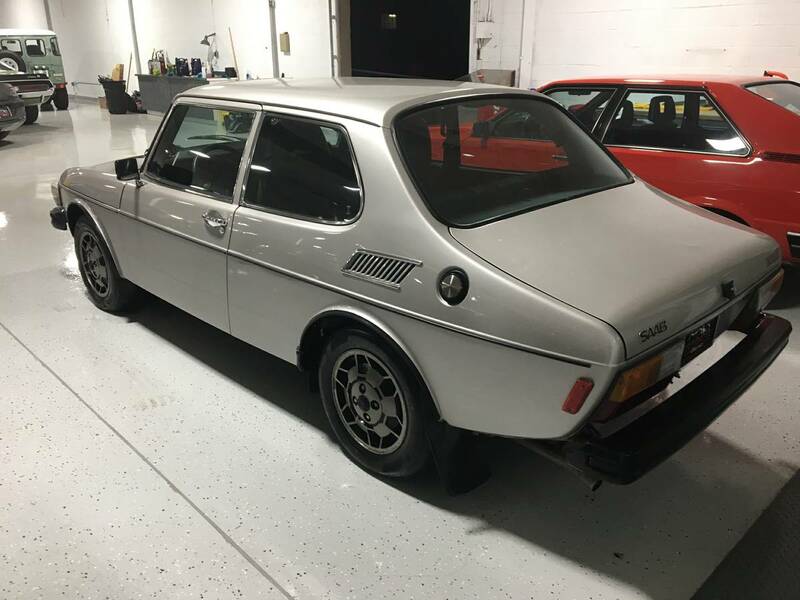 Find this 1977 Saab 99 offered for $5,500 in Farmingdale, NY. Tip from FuelTruck. 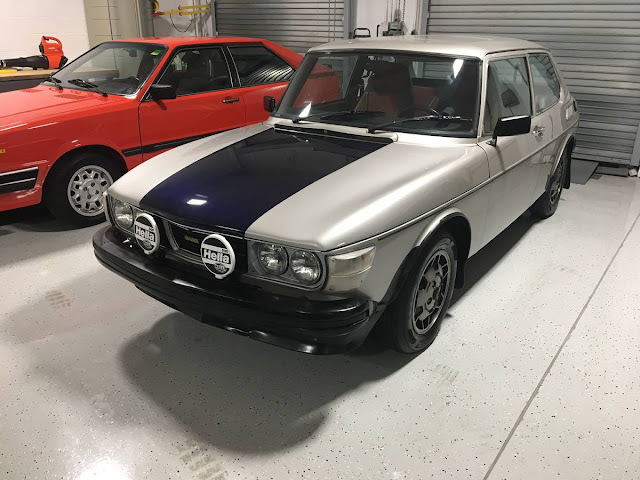 A few things about this car sticks out -- first it looks really nice and rust-free for a 70s Saab. It also features just about the coolest wheels ever put on any car -- Saab's soccer ball alloys! Lastly, it is the cool EMS version, which added electronic fuel injection to the 2.0 liter B-series 4-banger, a 4-speed manual gearbox, and a non-power assisted steering with a quick ratio. It was essentially a Saab 99 Turbo without the turbocharger. Interesting collection it appears to be part of. Also that it has Washington plates and it's in NY. Wish my garage floor looked like that. That back window trunk line is just sublime. Interesting that it has a turbo boost gauge on the dash.